First off, the fact it didn't sell wasn't your fault. It is usually one of two things: either the price was wrong or the marketing was wrong and usually, it was both. We tailor marketing plans depending on the likely buyer: family adding a bedroom, millennial getting their first home, senior couple downsizing, new job requiring an office at home, long-term investor, contractor special, young family needing a two-unit place for help with the mortgage, surfers who need to be by the beach, tech workers who need convenience in all things. Every buyer is different - and your agent's marketing resources need to be focused on the likely buyer, not spread around doing too little in every niche, and not simply on the MLS and hoping for the best. Price it too high and no one will see it. Price it a little too high and no one will offer on it. Price it too low and you'll only get lowball offers, price it a little low and you'll maximize the number of offers, price it at market value and you'll get some offers but there will be no competition. Careful study of the neighborhood, being honest about features and flaws, and verifying the list price to sell price ratio for the district and subdistrict are key. We offer a Market Review Service that will give you all you need to know about why it didn't sell the first time around. No one want to repeat that - and we know it is a pain to sell a house and starting over is a bit daunting. We ask you a series of questions designed to find out everything about what happened, we review the marketing strategy used by your agent, and we review the pricing strategy. In the end, you get a report on what happened, and how to avoid it in the future. You may do with that information anything you wish moving forward, even if you decide not to list with us. Check our Seller FAQs (skip the ones you don't need, but try to check out the skillset videos). I think you'll find them useful. Also my page. 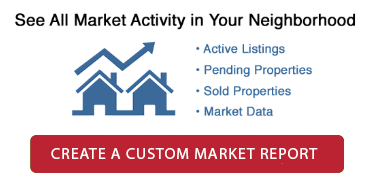 For your convenience, there is a property valuation tool here (as well as a tool to create a report on what sold and for how much in your neighborhood) in the sidebar to the right (except if you are viewing this on mobile - then just scroll to the bottom).